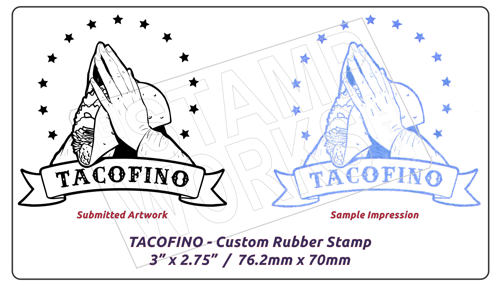 You design it and we'll turn it into a stamp for you! 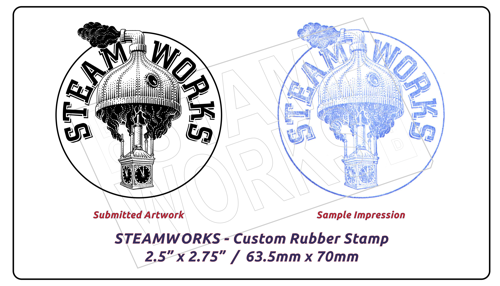 We at BC Stamp Works really enjoy bringing your files and artwork to life. 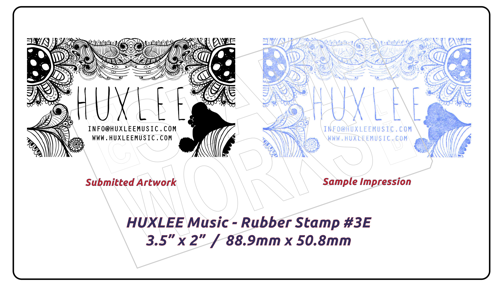 We can turn any clean, Black & White image into a stamp so that you can put your mark on letters & envelopes, products, boxes & bags, tags, business cards, clothing, labels or whatever you can think of. This page is also becoming our rubber stamp 'Wall of Fame'. 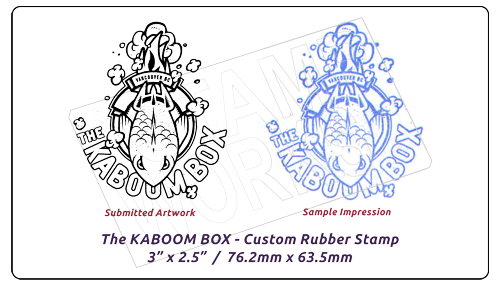 Scroll down to see images of great artwork submitted by our customers along side a sample impression of how the stamp turned out!! - Please submit files in vector formats such as .eps, .ai, .cdr or .pdf. - .jpg or .jpeg, .bmp and .tif images are only acceptable in high resolution & black & white files. or ensure that all text within the graphic has been converted to curves/outlines. These are just a few examples of what we can do for you! !